When you think Goodyear Tires near Fairfax Station, VA, think Wiygul Automotive Clinic. With a Goodyear Tire Center on site, and factory-trained associates to assist you in your selection, you are guaranteed to drive away with the best set of Goodyear Tires near Fairfax Station, VA, for your car. Wiygul Automotive Clinic is your local Independent Goodyear Dealer. Let us to do a complimentary tire inspection to determine what your true tire needs are. If we can, we’ll help prolong the life of your Goodyear Tires near Fairfax Station, VA, with scheduled tire rotation, recommended wheel alignment, and brake services if needed. When you need to replace your tires look no further than the Goodyear tire experts at Wiygul Automotive Clinic. We stock a full inventory of the world’s most dependable tire - Goodyear Tires - near Fairfax Station, VA, for any make and model of vehicle. Always replace your existing Goodyear Tires with the same type of tires that came on your vehicle as original equipment. This includes the exact same tire size, type of tire, and speed rating. That ensures top performance from your Goodyear Tires in Fairfax Station, VA, and from your vehicle. 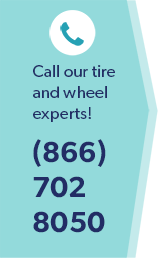 Ask your Wiygul Automotive Clinic Goodyear Tire & Service Network Associate for information about the Goodyear Tires near Fairfax Station, VA that would best suit your vehicle tire specifications. Your local tire dealer - Wiygul Automotive Clinic - is the best place for you to shop for new Goodyear tires. Prices are reasonable and the friendly service manager and staff will help you select the correct tire for your vehicle. And your new Goodyear tires near Fairfax Station, VA, come with free tire mounting and tire rotation every 6,000 miles. With automotive service work done right by our expert ASE-certified mechanics and factory-trained technicians, the team at Wiygul Automotive Clinic can take of scheduling, documenting, and providing your manufacturer's recommended maintenance schedule. Trust the tire experts at Wiygul Automotive Clinic for complete tire care and new Goodyear Tires near Fairfax Station, VA.